William contacted me to assist with obtaining certificates for his citizenship application. 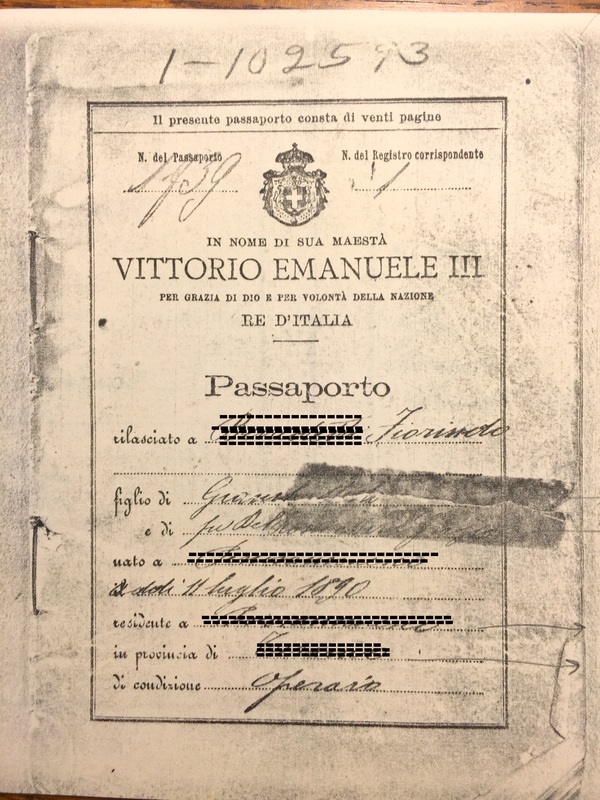 He had a copy of his Grandfather Fiorindo’s passport but he had been unsuccessful in finding a copy of the birth certificate in the on-line records. I checked, and sure enough, it wasn’t there. How could the town have issued a passport, itemizing the name of the person, their parentage, and date and place of birth without a birth certificate? Since the on-line records are the second copy made at the time, I assumed that, somehow, a second copy was either not made, or omitted when submitting to the Archives. The town clerk did not find the birth record either, had no explanation and even searched 5 years either side of the birth date without success. Sharp-eyed Maria (lostquays@ymail.com) noticed that a child named Zolfino was born to this same couple just 4 months earlier than Fiorindo’s declared birth date and who died at birth, so Fiorindo could not have been born in 1890 as stated on the passport. Fiorindo was also not included in the Lista di Leva between 1886-1895 according to the State Archives. A call to the local priest brought no results either. The question remains, why did Fiorindo travel to America on a passport that was obviously false? Was it an error by the authorities? A favor to avoid military conscription? Was he born in another town while his parents were away from home working? Will we ever know? Will William ever get Italian citizenship?